Marina Del Rey Orthodontist Dr. Mario Paz creates beautiful smiles with the latest in orthodontic technology! Dr. Mario E. Paz is a leader in the orthodontic field with a unique orthodontic treatment expertise in invisible braces including Invisalign and Lingual (behind the teeth) braces. Dr Mario has over 20 years of experience in creating beautiful smiles. Dr. Mario is a frequent speaker on the subject of Lingual orthodontics and has treated patients from around the world. He is the President of the American Lingual Orthodontic Association (ALOA) and a member of the World Society of Lingual Orthodontics (WSLO). He is the founder and former director of the Lingual orthodontics program at UCLA. Dr. Paz is a Gold Invisalign® Provider and has been involved with the technique since it was introduced to the Los Angeles area in 2000. Our goal is to provide you or your child with the finest orthodontic care, by combining the latest technology with the expertise of Dr. Paz. We can ensure that you will receive the most affordable, comfortable, and efficient care available. We enjoy the reputation of being one of the largest Lingual orthodontic practices and the only practice that offers the combination of Invisalign with Lingual braces. 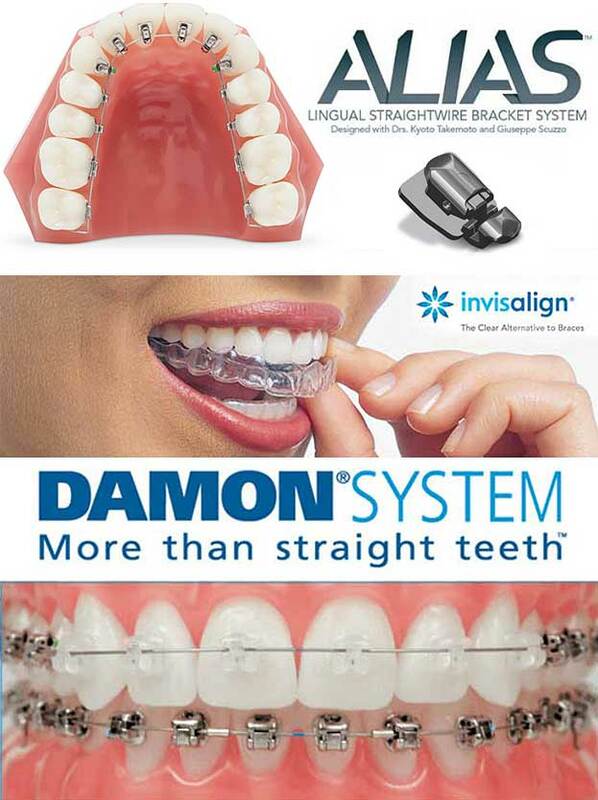 The orthodontic systems used by our office include Lingual braces, self ligating braces and invisalign. These appliance choices offer cosmetic, life-style and financial options. Lingual Braces are a customized system that utilizes 3D imagery to create precise brackets that fit the shape and contour of each tooth. Self-ligation is used for faster, frictionless, tooth movement. Self Ligating Braces, The Damon System are a labial system that comes in both clear and silver and uses self-ligating mechanics. Modern self-ligation technology moves teeth faster, and with no friction, enabling us to achieve results that would not have been possible with traditional braces. Our goal is to create healthy, beautiful, broad, perfect smiles in the shortest time possible. The Invisalign system is a custom-made series of clear aligners that move your teeth in a similar manner to braces. They are computer analyzed and created with exact calculations to gradually shift your teeth into place. Most importantly, when you come to our office you know that you’re in experienced and gentle hands with Dr. Paz! Now is the time to find out how our office can help you. We look forward to meeting you and are excited to have the opportunity to create for you the smile you have dreamed of. Serving West Los Angeles, Santa Monica, Marina Del Rey, Venice and surrounding areas.